As a base for a weekend break, or longer, the Cotswolds and Gloucester could not be bettered. That is if you like glorious rolling countryside, narrow lanes with stone walls, and one ancient village after another, each with at least one hostelry. For the most part the minor roads are quiet and the food and beer normally excellent. The whole area is a little more than 100 miles from London and easily accessible down the M6 from the north. 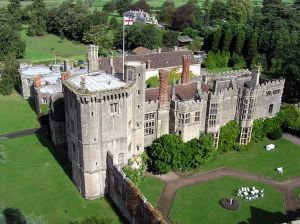 AERBT took up National Trust membership (UKP47.50 for 12 months – it pays for itself after five visits) and made use of a free English Heritage guide. 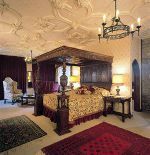 Your Editor based himself at Thornbury Castle, part of the Von Essen Group, now the owners of 26 classic boutique hotels in England, plus one in Scotland (Dalhousie Castle – Edinburgh) and Chateau de Bagnois near Lyon, France. On this trip we have kept away from Bath, Bristol and Gloucester, each of which is worthy of a visit of several days. Both mining and woollen goods production were important industries in the past leaving such reminders as the Coalpit Heath (closed 1949) near Yate and the Dramway coal mining route to the Avon. Whilst the wool industry for the most has gone, sheep are still in abundance on the grassy slopes. The villages and towns that abound have romantic names that live up to the expectations. Wotton-under-Edge, Chipping Sodbury and Nailsworth conjure up England of the past, timbered houses and stone cottages with streams often running through the middle.